Click here to read Part 1 in this blog post series. With that, here’s Part 2 on our series on how biases can negatively impact your farm management decisions. This bias is often referred to as the effect/behavior that tends to cause us to think “the grass is greener on the other side of the fence”. I’ve heard people actually say this isn’t actually a cognitive bias but simply a result of not having enough information but who cares! It can cause us to think illogically so I’ve included it on the list. The focusing effect is the tendency for us to compare two things based on one particular attribute rather than taking all attributes into consideration. 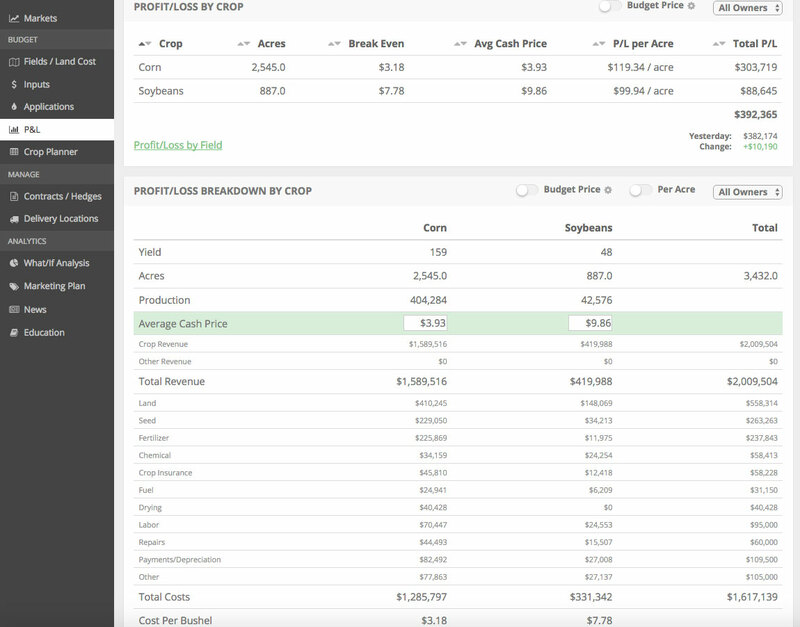 For example, if the cost of [Brand A] seed is getting too expensive and a competing dealer shows you that their [Brand B] seed is 10% less expensive than the portfolio of seed you’ve been buying, you may be susceptible to thinking Brand B is better. Obviously, this is overly simplistic and you’d check the yield performance before making that determination but you get the point. Furthermore……Naturally, companies (or people) try to put their best face forward. Let’s think about neighboring farms. They (usually) don’t openly display the inner workings of their operations. If you don’t agree with their practices, it’s easy to focus on the negatives that you’re seeing from the outside looking. If you think they’ve built a great operation, it’s easy to focus on the positives of how they farm. Rarely, do we know everything about a particular person/company/brand when looking in from the outside. At the end of the day, all we can do is….. Realize that in business and life, things always aren’t as good (or bad) in other situations as the particular thing we are focusing on skews our judgment. Don’t be afraid to ask tough questions to those you do business with as they are likely always trying to present their product/service with the best face possible. ABL (Always Be Learning). Studying objective data focuses us on the whole picture. And remember, the grass often isn’t greener on the other side of the fence. On to the next bias you need to be aware of. Let’s start with a couple questions for you. -> Have you ever found it hard to sell/hedge/contract your commodities after a price break? -> How about finding it really easy to sell after a small rally following a lengthy move lower in price? If so, this is the contrast effect at work! See below for Wikipedia’s (somewhat dry) definition of a contrast effect (source). “A contrast effect is the enhancement or diminishment, relative to normal, of perception, cognition or related performance as a result of successive (immediately previous) or simultaneous exposure to a stimulus of lesser or greater value in the same dimension. The human brain has a tendency to notice the change in value rather than the absolute value itself. It’s easy for our minds to get tricked into thinking something is good simply because it is not as bad as it used to be, and something is bad simply because it is not as good as it used to be. One of the first documented examples of someone identifying and studying the contrast effect was work conducted by seventeenth-century philosopher John Lock. He observed that lukewarm water can feel hot or cold, depending on whether the hand touching it was previously in hot or cold water (source). Let’s think back to the grain marketing examples above. In thinking about it, I feel that it’s unrealistic for us to simply ignore contrasts in value? We obviously just can’t ignore price changes. There are a few things you can do to combat the contrast effect, specifically regarding grain marketing. Rough rules of thumb that I use is to expect wheat and corn to experience $1.00 price moves and soybeans to experience a $2.00 move in any given marketing year. These are obviously overly simple assumptions but oftentimes a move of 10% of the annual ranges seems like a monumental price change on the day it occurs. At the end of the day, price isn’t what matters. It’s so easy to fixate on the specific cash price or futures price of a certain commodity. I know I’m guilty of it! But price is only 33% of your profitability formula. The others being yield and expenses. Having a living and breathing P&L that changes throughout the year along with profitability goals can reduce the fixation on one price (more on this in another bias). Removing this makes it much easier to combat the effects of the contrast effect. At the end of the day, what matters is your profitability and the equity you are building (or protecting in your operation). The other method that can be used to combat the contract effect is the “brute force” method. This method is simply being aware of this bias and ignoring it when making day-to-day risk management decisions. Easier said than done, but prices are always going to be changing and being comfortable with that is a trait of many successful farmers I’ve met over the years. On to the last bias of this blog post. I hesitated even writing about today’s bias as I think it’s a bit of a cheat! “Bias Blind Spot” is the term used for the tendency to not see your own cognitive biases. If you’re like me this, at the same time, makes a bunch of sense yet is illogical. My reason is…..a bias that you see isn’t really even a bias anymore, it’s a behavior. Given that it’s the weekend, I’m going to keep this bias description very short as it’s self-explanatory. With that said, there are numerous biases that I’ve researched that explain certain decisions I’ve made of the years. Whether in business or life, I think it’s important to learn from past mistakes. As you look back on past decisions, make a point to try to identify if one of these cognitive biases played a role and seek ways to improve those decisions in the future. We’ll always have a blind spot but lets work to make ours smaller over time! That’s it for today, but keep your eye open for Part 3. It’s is going to include a number of eye-opening biases. Once again, if you haven’t checked out Part 1 click here.